Preparation of paperwork for Refinance, Bills of Sale, Repossession Affidavits, Priority handling, Change of endorsement, Change of vessel name or Change of hailing port. In addition, we assist in getting Limited Liability Companies or Corporations set up for ownership of your vessel. As qualified professionals, we routinely assist with complications you may experience during a transaction including but not limited to: Estates, Divorce, Trusts, Corporate Ownership, Donations and General Closings. Files are expedited by overnight courier to the Coast Guard to guarantee the fastest possible attention. Our President, Carrie Schmidt, started her work in the documentation industry in 1999. Since then she has encountered a variety of different challenges, each one preparing her with the experience necessary to fulfill her current role. Carrie works regularly with numerous Yacht Brokerages and Financial Institutions handling the detailed task of taking each deal from start to finish. This requires the knowledge of working with the Department of Homeland Security and the United States Coast Guard Offices. As a result, she is able to coordinate all aspects of the transaction making certain everything is completed in the fastest and most professional manner possible. This invaluable experience only comes after over 15 years of working in the industry. 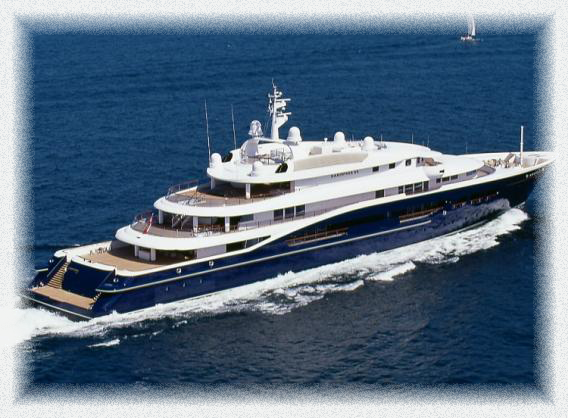 Carrie stands ready to assist you or your Yacht Broker and is available by phone at 443‐949‐9462 or anytime by email at carrie@aydserv.com. AVDA was incorporated on February 10, 1995 as a California Nonprofit Mutual Benefit Corporation in response to the centralization of the United States Coast Guard offices to West Virginia and the need for formalization of the professional status of more than 50 documentation services in the United States. NMBA's mission is to educate current and prospective lenders in the marine financing procedures, promote credit to consumer and trade borrowers, maintain alliances with industry partners, measure and report on the vitality of the marine lending market, and maintain networking and communication among members and associate members (which includes documentation services, remarketers, insurance agencies, and marine attorneys). Our computer database has been carefully designed to guarantee the confidentiality of your private information and includes password and firewall protection. We take serious steps to ensure the privacy of our clients' sensitive information. For example, each social security number (needed for the Coast Guard Application) entered into our database is automatically expunged from the database immediately upon sending your file to the Coast Guard. Furthermore, our IT staff has set up forms to keep each file independent and safeguarded from others in the system. At AYD, we are fully invested in adhering to the strict guidelines established to safeguard all information at all times. Adjacent to the U.S. 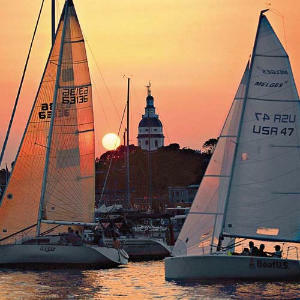 Naval Academy at City Dock in Annapolis.